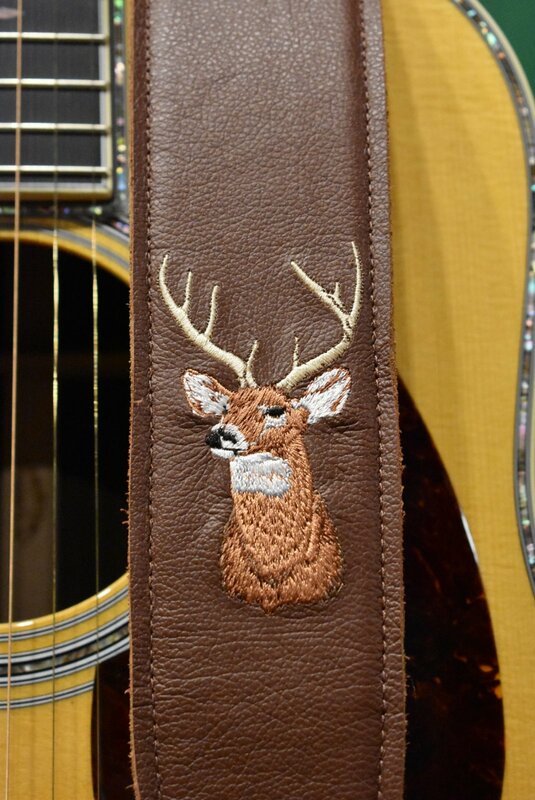 Custom Whitetail Deer Guitar Strap. Soft glove leather with suede backing and embroidered whitetail deer. 2 1/2" wide and adjustable. Made exclusively for Melodee Music by Levi's Leathers.